Taking in Europe’s most iconic and spectacular destinations, from Switzerland’s jewel of Lucerne to the labyrinthine canals of Venice, Euro adventures have never been easier with Nexus Holidays. It’s one of those life experiences that you’ll never forget; a journey through a continent so varied in culture, cuisine, landscape and architecture that one day you could be in a tiny Swiss village with flower-covered stone houses and the next you’re in the fashion capital of the world, Milan. The only drawback is making the mind-boggling decision of where to go – seemingly there is an endless choice of places to see, and usually so little time. Enter Nexus Holidays and its 25-day Grand Tour of Europe (from $5999 per person including airfares). This brilliant itinerary takes in the best bits of Europe with renowned destinations you’ll already have on your to-do list, as well as some lesser-known gems that you might not know about but should. Here, we’ve rounded up the best of this tour, country by country. 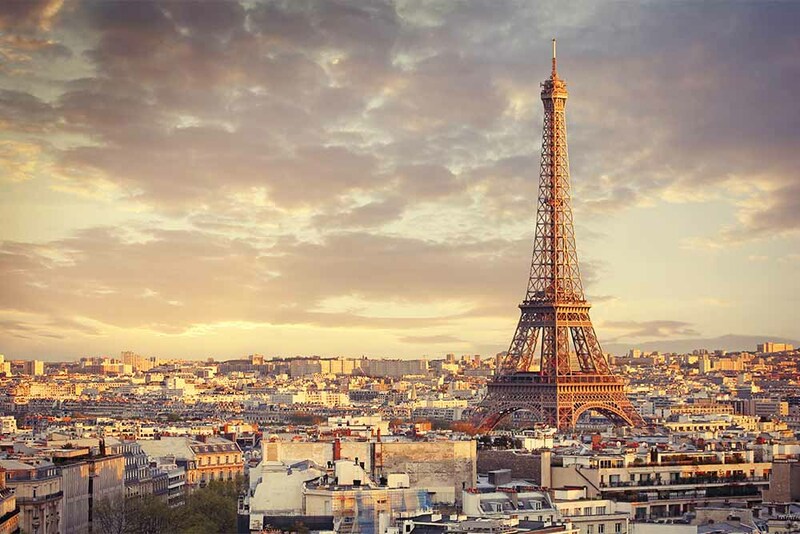 Places you’ll know… First stop: Paris, the City of Lights. Here you can visit the Montmartre district, an area known for its creative inhabitants. Of course, no visit to Paris is complete without visiting the Eiffel Tower; you’ll also see the city from the River Seine on a cruise and have a free day to spend as you wish. Other places you’ll go… You’ll see some of the prettiest towns in France including the small medieval town of Noyers; Beaune, the centre of the winemaking region of Bourgogne; and World Heritage-listed Lyon. Places you’ll know… Switzerland’s second largest city, Geneva, is a sight to behold on the shores of Lake Geneva. 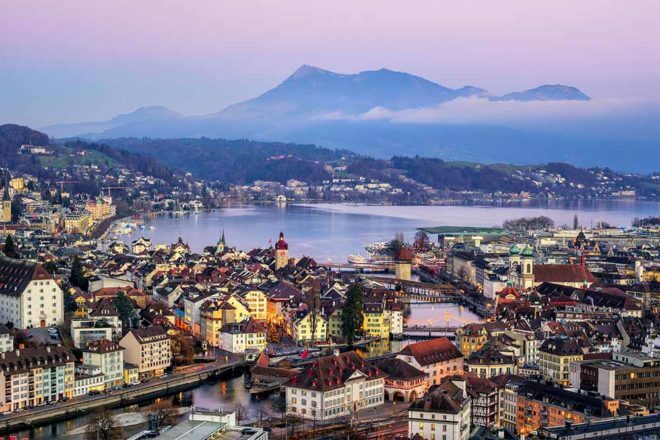 Next you’ll travel to the culturally vibrant financial hub, Zurich, where you’ll take a boat ride on Zurich Lake. You’ll then spend an afternoon in picture-perfect Lucerne, nestled at the foot of the Alps. Other places you’ll go… You’ll take a cable car up to the village of Grindelwald, which is surrounded by spectacular mountainscapes. You’ll also visit the tiny village of Burglen where legendary character William Tell was born; Lugano, a town with a Swiss-Mediterranean culture; and the sweet town of Morcote with its flower-covered stone houses. Places you’ll know… Fashion capital of the world Milan is your first Italian stop, followed by the town of Pisa where you’ll view its famous leaning tower. Rome is an absolute must; enjoy a tour of the Eternal City with a visit to the Vatican and the extraordinary, ancient Colosseum. You’ll witness breathtaking landscapes as you head to Tuscany and the birthplace of the Italian Renaissance, Florence. Discover the city on a tour including its enclosed bridge Ponte Vecchio and Piazza del Duomo. 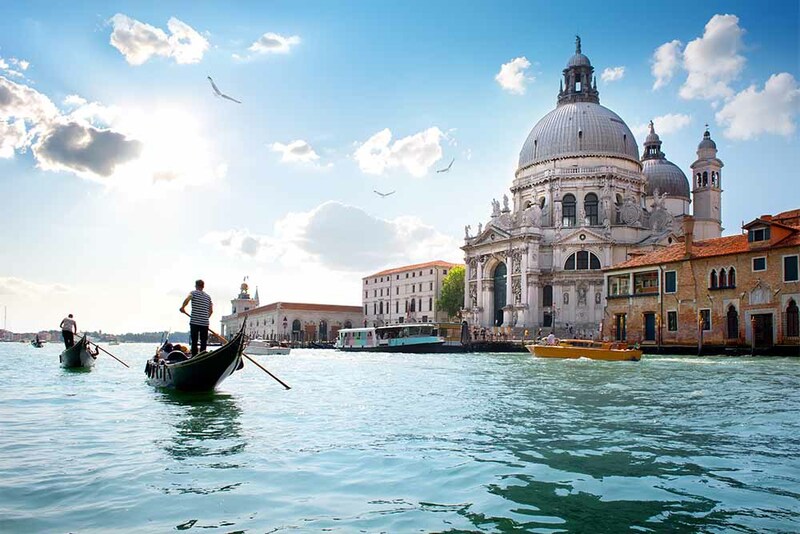 Next on the agenda is the magical city of Venice, where you’ll explore incredible waterways and Byzantine architecture by vaporetto (a waterbus). Other places you’ll go… Verona, the city of Romeo and Juliet, where a 14th-century building with a small balcony is said to be Juliet’s house. Places you’ll know… You’ll explore the historic and diverse city of Frankfurt and board a cruise of the mighty Rhine River. Cologne will amaze you with its architecture, spanning ancient Roman, Gothic, avant-garde and postmodern. Other places you’ll go… The picturesque village of Lauf, which has a busy market square, and the Bavarian city of Wurzburg, now a busy university city. Places you’ll know… The canal city of Amsterdam is famous for its Red Light District, but you’ll also see Dam Platz, the town square, its pretty parks, and witness the technique of cutting diamonds at a local workshop. Other places you’ll go… The neighbourhood of Zaanse Schans is a museum of windmills, green wooden houses, along with interactive visits such as clog, cheese and chocolate making. Then you’ll head to the picturesque fishing village of Volendam, followed by Marken, where houses are built on stilts. The World Heritage-listed city of Salzburg – the place where Mozart lived – is on your itinerary, followed by Vienna, another of Europe’s grand capitals, home to palaces, churches and prestigious museums. Your stay in Budapest, the Pearl of the Danube, includes a scenic tour and a Danube River Cruise of this unique city divided by the historic ‘Buda’ and new ‘Pest’. You’ll see the Slovakian capital Bratislava, a city on the banks of the Danube River, dominated by an enormous castle, with a tree-lined Old Town and hilly parks. 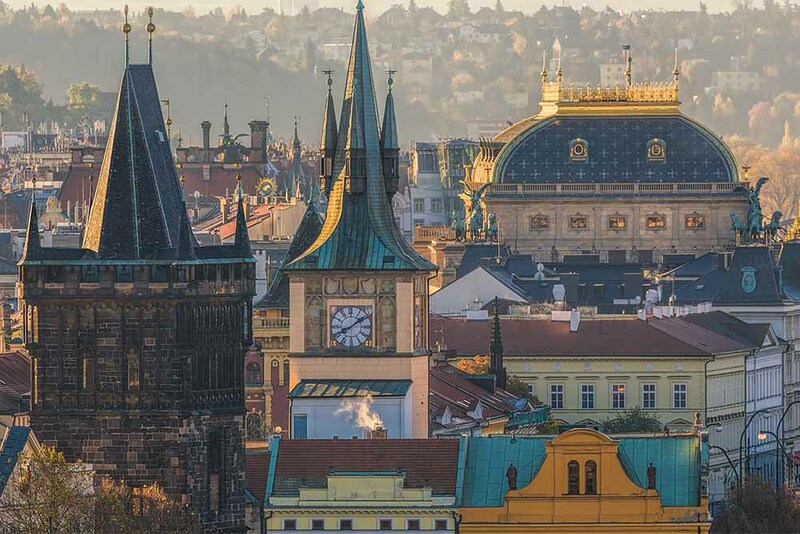 One of Europe’s most ornate cities, you’ll see Prague Castle, the Old Palace, explore the winding alleyways to the Old Town Square, and enjoy a boat cruise along the river. You will take in Bruges, the Flemish ‘little northern Venice’, and Brussels, with its Grand Place and unique Atomium building.